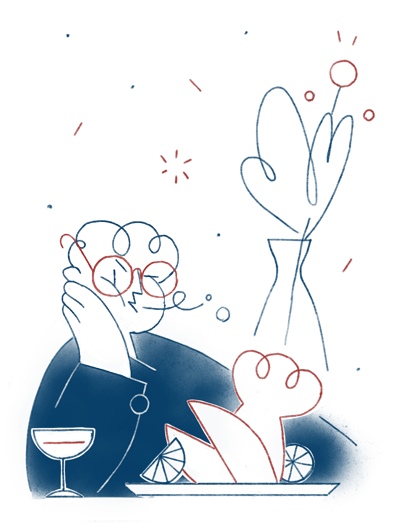 Each year when we publish our '30 under 30' list – which champions young talent in hospitality – we get a few tongue-in-cheek messages from, shall we say, some of the more senior members of the industry, asking when we’re going to publish a list that focuses on those with a few more grey hairs and perhaps fewer tattoos. It was after hearing the 50-plus initiative that Jeremy King and Chris Corbin are implementing at their restaurants – to recruit more employees aged 50 or over, whether or not they have restaurant experience – we sat down at CODE HQ to discuss the importance of this demographic to the industry; it’s something that we need to champion, thanks to the difficulties of recruitment in the current climate. For this reason, we’re excited to announce our inaugural ‘50 over 50’ list to be featured in the summer issue of the CODE Quarterly, published in June. Please email: editor@codehospitality.co.uk with nominations for the list. The spring edition of CODE Quarterly is published today – you can subscribe here. Foie gras kebabs? Doner risotto? The menu for new restaurant Kebab Queen sounds intriguing. 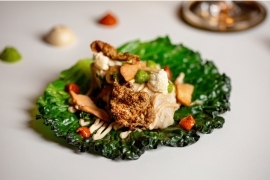 It’s the idea of chef Menu Canales, previously sous chef at Le Gavroche, and when it launches in Covent Garden next month, will offer something different to other kebab-focused places. Guests on stools around the open kitchen are encouraged to eat the seven-course, £60 tasting menu with their hands, for instance. Possibly not for the faint-hearted, a new bar in Kingsland Road that opens in early April is a specialist agave bar. 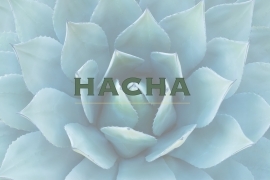 Hacha, from Deano Moncrieffe, will seat 40 and also offer a Mexican menu of sharing plates. Moncrieffe works as ambassador for Diageo Reserve’s luxury tequila and mezcal portfolio, so he knows his stuff. Expect tequila, mezcal and other agave spirits served neat, as a tasting flight or as cocktails. There’s a real boom in private members’ clubs, it seems, and the latest is Arboretum, from the operator behind Library, Ronald Ndoro. 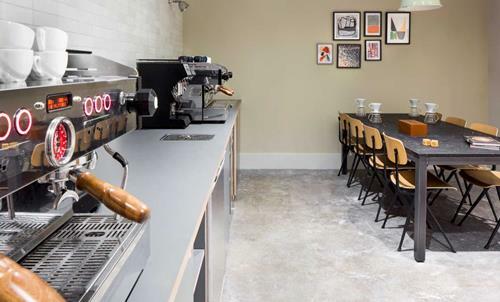 The new club, on Charing Cross Road, is focused on both environmental and sustainability issues and its members’ own wellbeing. As well as bedrooms, a gym and meeting rooms, there will be a fine dining restaurant, a pizzeria, deli and five bars. Thc club is scheduled to open in late spring. After judging sessions in London and Birmingham, the shortlist for the prestigious Roux Scholarship has been announced, and includes London talent. 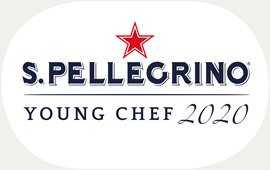 Chefs Olivia Catherine Burt of Claridge’s, Spencer Metzger and Ryan Baker of The Ritz, Lewis Linley of Vacherin are all in the running in the finals to decide the 2019 Roux Scholar, with the finals held at the Mandarin Oriental hotel in London on 1 April. 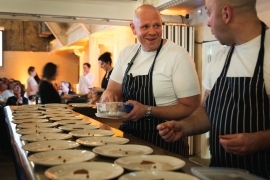 It was a brilliant night at Hawksmoor when chef Tom Kerridge got together with the steak restaurant’s team and Bibendum and Mr Fogg’s for drinks to create ‘A Good Dinner’ in aid of Action Against Hunger, Magic Breakfast and The One Foundation. Together they raised £150,000 for the three charities. 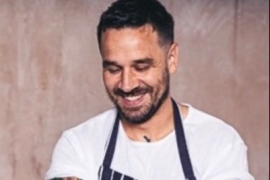 Congratulations to Gary Usher for successfully completing the crowdfunding of his next restaurant, Kala, in Manchester. Hoping to raise £100,000 in 100 hours, he reached the target in just 11 hours, making it the fastest restaurant fundraiser in Kickstarter’s history. Usher and his team used social media highly effectively - something other operators will no doubt be watching. Gemma Bell and Company is a dynamic, boutique hospitality PR agency working with some of the countries’ leading chefs, restaurants, hotels and bars. We are looking for an energetic, outgoing and ambitious account manager to join our close-knit team. We offer a collaborative and supportive office life with excellent summer and Christmas parties as well as competitive salaries and other benefits. 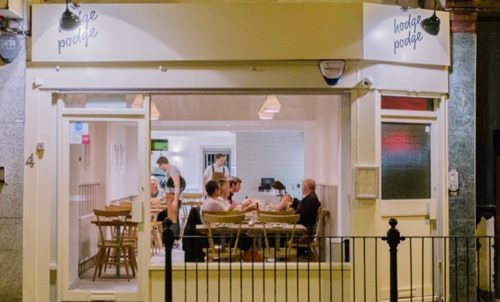 Oliveto at Haddington House is an award-winning restaurant led by two Michelin level chefs, serving Irish seasonal food through an Italian lens. The RM will be responsible for instilling Michelin Bib level service standards, growing our customer base and hitting labour, GP and profit margins. The role is ideal for an Assistant Restaurant Manager looking to step up, or a Restaurant Manager looking to gain a new experience. Pity the poor front-of-house staff at Corrigan’s on Friday, who had the job of gently moving on the St Patrick’s Day crowd, who’d celebrated with Guinness, champagne and oysters all morning. The servers had about 7 minutes to set up for lunch… luckily more Irish goodies were on offer at the nearby Guinea Grill, so guests had a good reason to move on. Everyone wants to escape the damp, windy weather it seems, but is it pure chance that London food cognoscenti Fay Maschler, Richard Vines and Clerkenwell Boy all headed to Mumbai at the same time? The puns were red hot and snappy at Claridge’s last Friday at a lunch in honour of food writer Skye McAlpine - chef supremo Martyn Nail brought the now-famous Lobster Wellingtons to the table and a plan was immediately hatched for a crustacean themed fancy-dress party in the hotel’s lobby … a flashlob was the term coined by event designer Fiona Leahy. From Leeds to Lambeth. Here are The Dumbwaiter's Best Bites of the week.